Families and communities already facing an unprecedented collapse in living standards are now faced with further grim news of increasing unemployment, a deteriorating economy and a further two years of pain: It truly is a picture of austerity with no end in sight. Today’s announcements from the Chancellor and Office of Budget Responsibility show yet again the real cost of the economic crisis is being born by those who are already struggling to make ends meet. Even before today’s announcements, the Institute for Fiscal Studies has been forecasting that real average household incomes would be 7% lower in 2012-13 than it was in 2009-10, and to remain below its 2009-10 level until at least 2015-16. This “unprecedented collapse in living standards” is chiefly due to high inflation and weak earnings growth over this period. The consequence of this, according to the IFS, was predicted to be an increase of 300,000 in child poverty by 2015, with a further 700,000 adults also slipping below the poverty line. 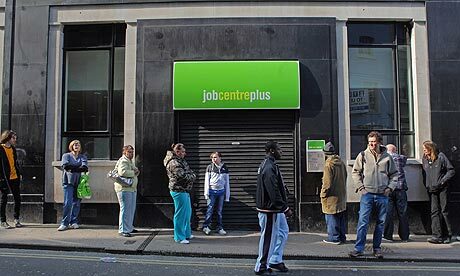 Unemployment will rise from 8.1% this year, to 8.7% next year: The ‘Claimant count’ (the narrowest definition of unemployment) will go up by 300,000 to 1.8 million. Public sector pay rises will be capped at 1% for a further two years, on top of the current two year pay freeze: Public sector workers – whose wages for the most part are already very low – are now facing real terms cuts in their incomes for four years in a row. A further £2.3 billion is to be cut from child and working tax credits and from public sector pay by 2015. More than three quarters of the cuts to tax credits will fall on those in the poorest half of the population. In addition, the Chancellor has reversed a £110 above inflation rise in the child element of the child tax credit which he announced last year, explicitly in order to stop child poverty rising for at least two years. The clear message: Rising child poverty is a price worth paying for fiscal rectitude. Overall £30billion further cuts in public spending, with the pain extended by at least a further two years, until after the next election (2015). According to James Plunkett of the Resolution Foundation, we are now well on our way to ‘two lost decades: The new OBR forecasts mean typical wages will be no higher in real terms in 2016 than they were in 2001. The doubling of free childcare places for two-year-olds in low income families to 260,000 in England. The landscape is fundamentally transformed.